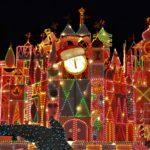 Are you planning a trip to Disneyland? That’s great! It’s such a fun destination for families. There are a few things that you can pack to improve your day in Disneyland or California Adventure. Some of these items are things you ONLY need for Disneyland. They are unnecessary at other parks. You will want most of these items at Walt Disney World, or any other Disney park, but I’ve compiled this list specifically for Disneyland’s parks and climate. This is the MOST IMPORTANT item on ANY Disneyland packing list. On my last trip to Disneyland, we walked about 5 miles per day. Comfortable walking shoes are essential for every member of the family. If you’ll be at Disneyland more than a day or two, pack two pair of comfortable walking shoes. When you walk that much, a fresh pair of shoes often feels better on sore or blistered feet. Sometimes shoes get wet and need a day to dry out. I once twisted my ankle on Day 2 of a four-day Disneyland trip. I had planned to wear sandals for most of the trip, but had to switch to more-supportive athletic shoes. On my last trip to Disneyland, half the women (including me) were wearing Sketchers Go Walk. It’s not top-of-the-line, but it works. You’ll also find a great selection of comfortable walking shoes/sandals at The Walking Company. Disneyland still operates on paper tickets, and you need to keep them handy all day for FASTPASS machines. The easiest and safest way to carry tickets, FASTPASSes, shuttle passes, credit card, ID, etc is in a lanyard around your neck. A lanyard will keep them dry, secure and always at your fingertips. Get Away Today will likely include free lanyards if you book your Disneyland trip through them. You can also buy good souvenir lanyards at Disneyland, but they won’t be cheap. A third option is this inexpensive lanyard at Amazon.com, which has strong customer ratings for theme parks and cruises. Disneyland allows you to carry day packs onto every ride. Carry at least one small pack for your family, if not one per person. Use it to to carry lunch or snacks, water bottles, sunscreen, first aid basics and whatever else you need to get through the day. A drawstring or other small backpack, not completely full, is about the right size. Be aware that all bags will be searched before you enter the park. Food is OK. Weapons are not. Don’t overpack. Some rides (like roller coasters) have little space for your personal items. It will be a long day, so don’t haul anything you don’t really need. Sandwich size Ziploc bags can serve a variety of purposes at Disneyland. They can keep your phone or other electronics dry on Splash Mountain. They can hold sandwiches or snacks. They can hold your first aid kit, or organize other small items in your day pack. These are items you hope you won’t need, but they can save the day when you do. I don’t have an official “kit.” I just keep these tucked into a Ziploc bag or pocket of the day pack. Here are a few items you might consider. Disneyland is full of kids – especially little girls – in costume. 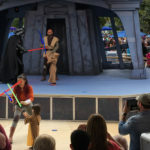 Not everybody does it, but it can make a day in the park, and your vacation photos extra fun! You can buy beautiful princess dresses and other costumes at Disneyland. When my kids were younger, I preferred to pack less expensive, washable costumes from Little Dress Up Shop or Amazon.com. For little boys, think pirates, Star Wars or Marvel superheroes! Teens and adults are not allowed to wear costumes at Disneyland, except during Mickey’s Halloween Party. Find out more about this fun annual event HERE. My twelve-year-old daughter still has the autograph book she took to Disneyland at age 6. It’s fun to collect character signatures, and then add photos to the book later. Be sure to pack a Sharpie marker or pen too! You can purchase autograph books and pens at Disneyland, but a basic book is a lot less expensive at Amazon.com. Southern California is sunny year-round. You’ll be outside most of the day, so be sure to protect your family with sunscreen. Consider sunglasses and sun hats as well. Be aware that ball caps, and souvenir hats and mouse ears, may blow off on fast-moving rides. A parade blanket, sheet or towel is essential if getting a good seat at the parades is your priority. The parade routes are long, but the best seats will begin to fill two hours or more before the parade. The easiest way to save enough space for your whole family is to pack a parade blanket in your day pack. Assign one adult to hold the space while the other continues to explore the park with the kids. A stroller is a must for families with kids under age 5 – or maybe even older. Disneyland can be overwhelming and five miles a day is a lot. My three year old napped in our stroller at Disneyland, even though he hadn’t taken a nap at home in months. A stroller is nice to have for storage. You can keep all kinds of snacks, drinks, parade blankets, changes of clothing and souvenirs in a stroller basket! This is the one feature that makes me miss my stroller now that I have older kids. You cannot take your stroller into shows or ride lines. Theft is unlikely, but don’t leave anything valuable in your stroller. Many strollers look alike. Consider tying a scarf or ribbon on the handle to make identification easier. You’re welcome! I hope you have a great trip!! 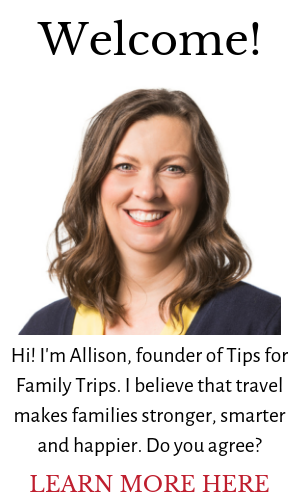 Appreciate these tips Allison! Going on mom and daughters trip there next Monday. So excited! Wouldn’t have thought about some of the tips, so thank you! Thank you, Ann! Have a wonderful trip!